Looking for the ultimate downloaders nirvana, well the new online downloading service PutDrive could the be the answer. 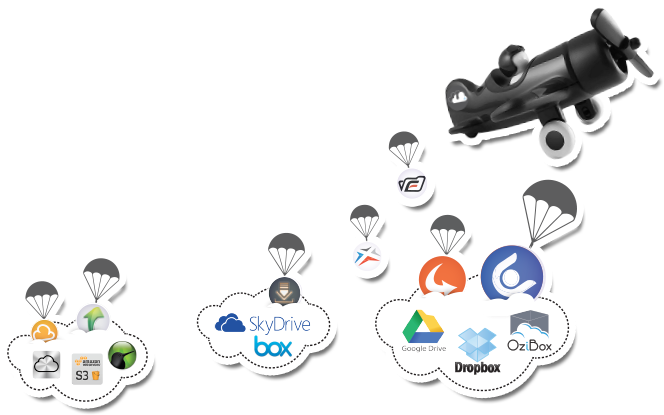 A cross between multi-hoster downloader, Seedbox (download only) and Cloud storage. This brand new “Downloading Wiz” sure does what the name says: it puts stuff inside your drive…. 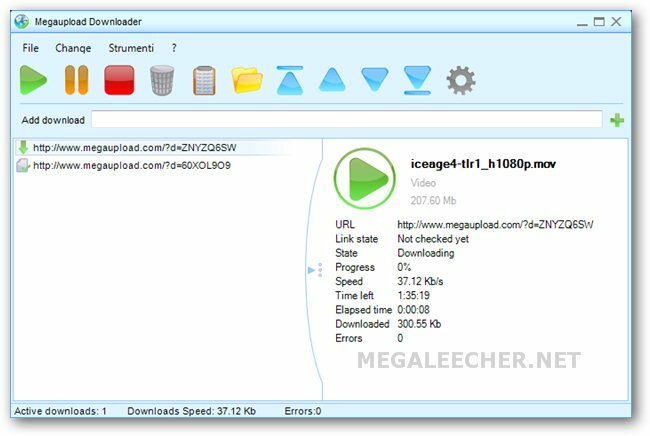 The interesting thing is that it not only downloads and stores torrent files but also featues premium downloads from over 80 different File Hosters including Netload, Uploaded & Filepost, for all of which the user now needs only one Putdrive account. So, the money saving factor is a nonnegotiable plus! 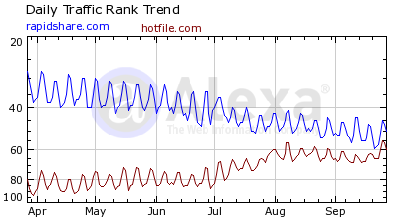 Furthermore, within the next 5 days Putdrive.com offers to everyone upon registration 100 GB traffic for free!. With all those new hosters popping up, especially after the Megaupload incident, everyone in the downloading community is confused. MPAA has now identified Fileserve, MediaFire, Wupload, Putlocker and Depositfiles as their next prime targets that should be shuttered next. So what are you going to do? How can you download what you want, if each link is at a different hoster? By getting yourself 10 different accounts, at 10 different file-hosters?? Because now there is a way to GET THE BEST OUT OF ALL THE HOSTERS AND SPEND THE LEAST: it’s called Zevera! Zevera.com is a revolutionary multi – hoster, especially designed for the new era of downloading. It gives you the opportunity to download from over 56 different file-hosters using only one Account. How? Just keep on reading…. Downloading has never been easier. Now since Zevera supports 56 different file hosters you don’t have to worry about which hoster the link you are looking for is in. Υou use only one account that supports all those hosters, and you can download problem-free. Plus, Zevera is also very simple to use: you just paste the links to the Zevera site or use the downloader tool and the files will be downloaded directly without waiting, without captcha and at an incredible speed! So, instead of spending a whole bunch of money on different one-click accounts, you can now get yourself one account that works for over 56 different hosters! At the same time you avoid the risk of purchasing an account at a file-hoster that will not exist or under-activate tomorrow! And what if new file-hosters pop up, or old ones shut their services? No problem at all for you: You just leave it up to the Zevera technicians to deal with the whole fuzz!! I think it’s more than obvious: right now, for someone who wants to purchase a premium account Zevera.com provides the easiest, most reliable, anonymous and safe solution. Get your Zevera account now, and worry no more about your downloads! Download as many files simultaneously as you want and never wait again! Your downloading is totally anonymous as we are like an anonymous proxy server. Your credit card payment is processed via reliable third-party companies like PayPal, AlertPay etc… and we have no information about who you are. 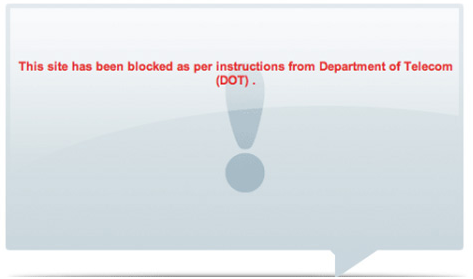 Internet content censorship has not been very prominent when it comes to Indian internet users, but things might change soon as various major Indian ISP's have started blacking out file-sharing websites like RapidShare.com, Mediafire.com, MegaUpload.com, Hotfile.com, SendSpace.com, Fileserve.com, MegaVideo.com, VideoBB.com, Novamov.com, Movshare.net, Filesonic.com, Putlocker.com and Depositfiles.com. According to reports received by TorrenFreak, Airtel is one of the confirmed leading ISP's displaying the following content censorship page while accessing the above mentioned file-locker services. If you read this blog regularly multi-host download services should not be new to you, we have already reviewed and done two giveaways with popular unihoster service Zevera, and today is another chance for our readers to win a free premium account - this time we have 30 one month, 20 three months, 10 six months and 1 full-year premium account to giveaway providing ample opportunities to win a free account. With support for almost 21 download services Zevera is the best option amongst similar services, currently Zevera supports downloading from wupload.com, hotfile.com, megaporn.com, megaupload.com, badongo.com, depositfiles.com, bitshare.com, fileserve.com, filesonic.com, mediafire.com, oron.com, easy-share.com, filefactory.com, freakshare.net, netload.in, 2shared.com, 4shared.com, uploading.com, uploadstation.com and rapidshare.com. They were also very quick to add support for wupload.com premium downloads and I am personally using this service from past one year and strongly recommend them. Multi-host download services are the smarter choice for today's downloaders, FilePunch.Me is yet another service offering users the ability to download as a premium user from multiple file-hosts via a single account. The nifty web-app fetches and stores remotely hosted files promising fastest speeds in the industry, apart from providing flexibility the man-in-the-middle proxy aggregator also provides absolute anonymity and secure private downloads. Once again we have free one month premium accounts for our blog readers to giveaway, read instructions after the jump to get started. After having there share of copyright woes, action against downloaders, imposing account limits and loosing users, Rapidshare is doing another effort to win back its lost audience by announcing that they have removed all restrictions which applied to its subscribers until now. 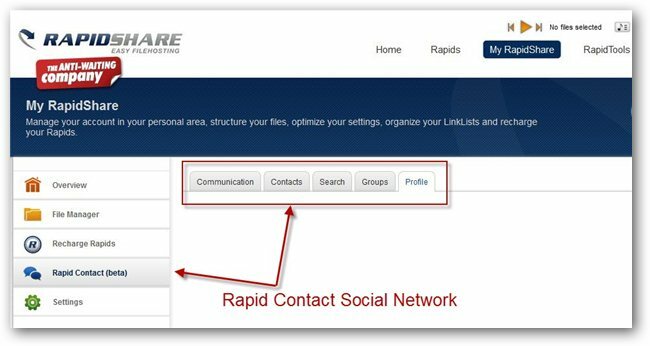 The change also affects unregistered users, so basically there is no upload & download limit on Rapidshare, nor is the storage space and upload file size restricted. Personally, I believe this change is not enough to catch up with some much better and cheaper services such as Zevera, which is a multi-host downloading service where you can benefit from multi-service premium downloads with just one account. 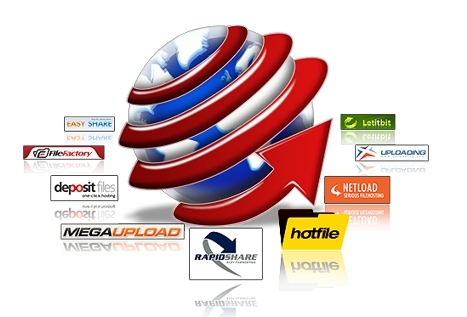 A single account with all premium access to anything you want from any known FileHoster such as Rapidshare, Hotfile, Megaupload, Mediafire, Depositfiles, Netload, Filesonic, Fileserve etc. is now the choice of smart users. 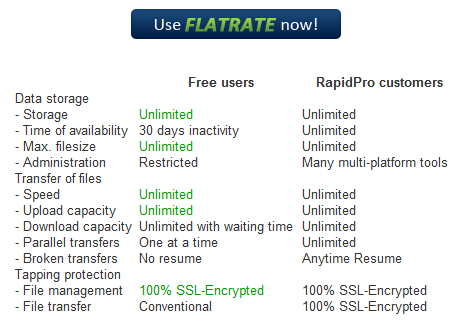 With so many file-hosters out there like Rapidshare, Hotfile, Megaupload, DepositFiles, Netload, FileFactory, Easy-Share, Uploading, Oron.com, Freakshare.net, 4Shared, X7.to, 2Shared, Storage.to, Badongo.com, etc., the obvious question arise which premium account to buy ? and the answer is none, as you can enjoy premium features of all these using a single account at Zevera. We have been EXCLUSIVELY provided with 50 one-month premium accounts to giveaway to our readers, instructions at the end of this post. As also reviewed earlier Zevera is one of the better known unihosters or multihosters service allowing premium account access to multiple file-hosting services. Zevera not only supports the largest numbers of file-hosters under a single roof, but also offers incredible download speeds and comes with an desktop downloader to make things as easier as possible.